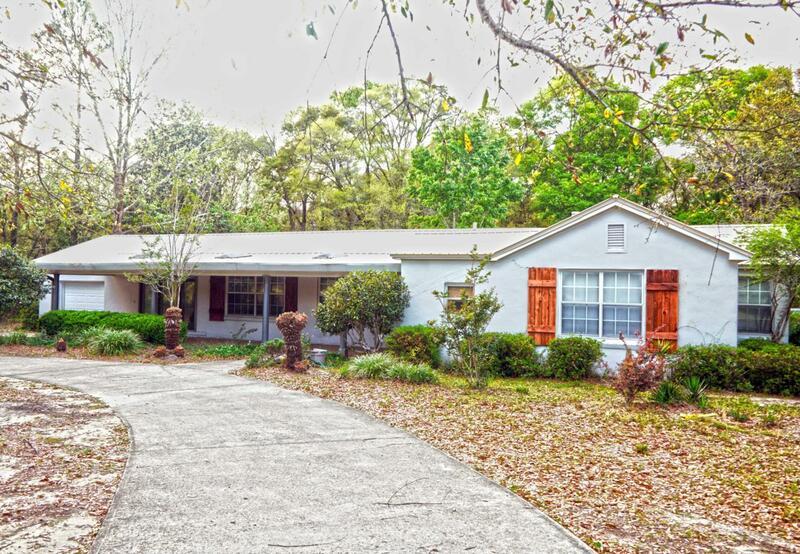 Beautiful Fully Renovated Ranch style 3 bed 2 bath. An open floor plan, plenty of natural lighting, stunning completely remodeled kitchen and new wood flooring throughout. Nothing is original with this 1945 beauty except the awe inspiring fireplace set in the center of the living area. All bedrooms have new ceiling fixtures, 2'' wood blinds, multiple closet space and fresh paint. Both baths have tiled floors, new vanities, new fixtures, new lighting, and the larger bath boasts a double vanity, walk-in shower with stone flooring and a rain shower head. The kitchen has granite counter tops, new appliances, barn sink, and industrial sink fixture. This home sits on 1.3 acres with a fenced in backyard, covered front porch, deck across the back and newly remodeled guest house.